Follow My Portfolio , and see what i am buying and selling. 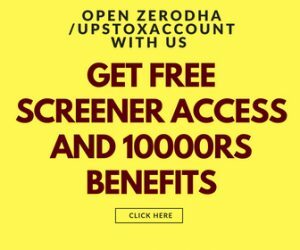 This service will help you to track portfolio allocation , Entry Exit and other bets of my Long term portfolio, including Mutual Funds , Multibagger picks and Large caps that i have added in my portfolio.Especially suited for investors looking for Long term investment and creating wealth in long run with picking fundamentally sound companies. 1>Insight into my Current Model portfolio. 2>Monthly tracking with all stocks i add , remove. 3>Overview on Results that companies declare from my portfolio. 4>Any rebalancing that i do will be communicated. 5>Free webinar on value investing and how to select good stocks with live examples. 6>Overview on Mutual funds to select for investment.